News of a "monster" natural gas find in British Columbia has one again highlighted that North Americans need to make a choice. Do we want to keep the huge volumes of natural gas that have been discovered in recent years across the continent landlocked and transportable only by pipeline, or should we develop the infrastructure that will enable us to transport this fuel to the gas-hungry markets of Asia? Both options come with advantages and drawbacks, of course. Keeping the fuel landlocked will keep prices depressed, likely so much so that many producers will be unable to turn a profit and will shut up shop. Building the infrastructure to transport natural gas to faraway shores is expensive, but more importantly it would commit the continent to a future of fracking, liquefying, and exporting natural gas, a decision that carries heavy environmental repercussions. Here's how it stacks up. North America has trillions of cubic feet of a fuel that the energy-hungry developing economies of the world want. Knowing that the easy oil and gas of the world are gone, those developing economies are desperate to lock down oil and gas supplies for the future. As their desire for our gas climbs, so will the price they are willing to pay. In short, it's going to be hard to say no for long – the financial incentive will be too strong. That's why we see North America becoming a significant exporter of liquefied natural gas (LNG)… but not for years. It will take a long time for North America to develop substantial LNG infrastructure. In the meantime, who will benefit? Let's investigate. Back in 2009, Houston-based Apache Corp. drilled a well in the Liard Basin of northern British Columbia. It was just a normal exploration well, like the thousands it had drilled before in its quest to find gas reservoirs. Then the drill hit gas. It hit so much gas that Apache didn't release results from the well until last week, almost three years later, because the company wanted to snap up as much of the surrounding land as possible. You do that when a single well produces 21 million cubic feet per day in its first month. Making things even better, the well was only fracked six times – in many other shale reservoirs wells are fracked as many as 18 times to enable the gas to flow freely. Apache has now drilled three wells in the Liard, with a fourth under way, and has examined logs from 16 others drilled since the 1960s. With those results in hand the company believes the Liard could be "the best unconventional gas reservoir in North America." Based on initial results, the company estimates that the Liard Basin holds 210 trillion cubic feet (tcf) of natural gas, of which 48 tcf is recoverable. 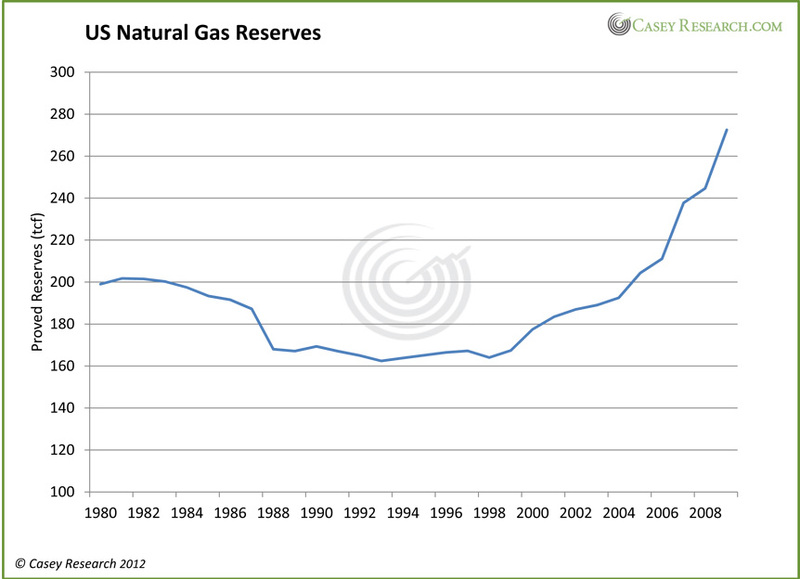 For comparison, total US recoverable gas reserves stand at 300 tcf. The wells drilled to date, which are spaced more than 25 km apart, are producing gas into an existing pipeline that runs south from the Northwest Territories. Apache says the fact that all the wells are performing very similarly indicates the reservoir is very robust. To give itself the best chance to tap into that robust reservoir, Apache has secured about 174,000 hectares of land in the Liard, an area that is 150 km northwest of the town of Fort Nelson and 100 km west of Horn River, another substantial BC shale gas play. Even with only a few wells completed, there is little doubt about the importance of the Liard discovery. It is huge – so huge that Apache believes its Liard wells could be profitable at a gas price of just $2.57 per MMBtu, almost as low as current North American natural gas prices. Gas prices in North America have been pretty volatile over the last 15 years, spiking at least four times. Discounting those short-lived price spikes, the Henry Hub spot price has ranged from just under $2 to almost $8 per MMBtu – a wide range. We are presently near the bottom of that range. There's a simple reason why prices are plunging: supplies are sky high. It is simple supply and demand: Supplies have risen dramatically, and demand is struggling to catch up. That is, demand within North America is struggling to catch up. There is demand aplenty in other parts of the world; and in those places prices are much higher. In Northeast Asia, strong demand from Japan and South Korea is keeping LNG prices near US$17 per MMBtu. 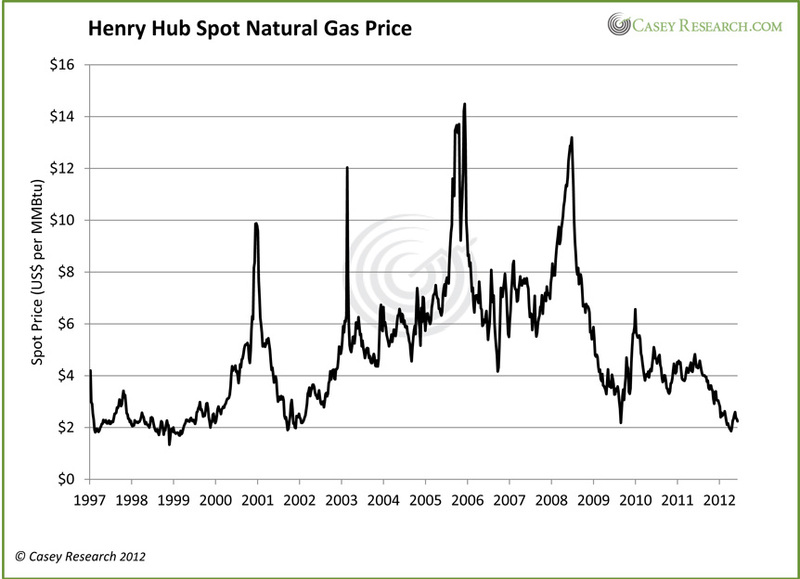 Yes, that is more than six times higher than the current Henry Hub spot price of US$2.70 per MMBtu. It is worth noting, too, that $2.70 per MMBtu is a relatively good price for Henry Hub, one propped up in the last few weeks by warm weather and hurricane threats. By contrast, in April the North American gas benchmark fell to just US$1.86 per MMBtu; prices have hovered near just $2 for several months. Weak gas prices like that have several effects. First, swaths of North American gas producers are cutting back on production. They do not see a need to supply more gas to an already oversupplied market and, more importantly, many actually lose money producing gas at these prices. Second, if prices remain this depressed for a sustained period, producers will start writing down their reserves counts. A "reserve" is a volume of fuel that is economic to produce using current technology. When prices are high, lots of gas reserves are economic – even very tight shale deposits requiring multiple fracs to get the gas flowing. When prices dive, it becomes more costly than it is worth to produce gas from these challenging and expensive tight gas deposits, which means they lose their reserve status. In short, North America's gas companies flooded their own market, drowning out any chance that good prices will return anytime soon. The problem for North America's gas producers is that their gas is landlocked. Natural gas has to travel by pipeline – in its gas form it takes up a lot of volume per unit of energy produced, which means it is never worth the cost of transportation to ship it. So North America's gas producers are generating a product that has to find buyers in North America. Or they could condense their product down into a liquid, rendering it transportable. That's the beauty of LNG – it is natural gas in a reduced-volume format, which means it can be loaded onto tankers and shipped across oceans. If North Americans want to take advantage of their newfound natural gas wealth, LNG is the way forward. We can use some of the fuel at home, of course, and will use more and more if ideas like converting the continent's transport trucks to natural gas take hold. But the trillions of cubic feet of gas contained in shale basins from the Liard Basin in British Columbia to the Fort Worth Basin in Texas are more than we can use – so much more, in fact, that prices will remain too low for producers to bother producing it, and these gas reserves will revert to being geologic curiosities rather than economic resources. That is one choice: keeping our natural gas landlocked and committing producers to years – perhaps decades – of rock-bottom pricing. The other choice is to build gas liquefaction facilities on our coasts and send our gas wealth across the oceans to markets in need. The economics of this choice are pretty clear. Even though LNG plants cost billions to build, the size of the resource here and the expectation of continued strong gas demand in the developing world put the calculations back in the black pretty quickly. So economics are not the question. The question, instead, is environmental. Does North America want to become an LNG exporter? The economic upsides include jobs and money, but the environmental concerns include new pipelines, tankers transiting coastal waters, more drilling and fracking of natural gas wells, and the knowledge that we are enabling a continued global addiction to fossil fuels. It's a choice that will play out in the news media over the next few years, as interested parties start vying for permission to start these multiyear construction projects. Construction is just about to begin on North America's first gas liquefaction plant, being built by Cheniere Energy at Sabine Pass, on the Gulf of Mexico near the Louisiana-Texas border. The project is expected to cost $10 billion and will not be complete until late 2015, but Cheniere has already signed offtake deals with BG Group of the UK, Gas Natural Fenosa of Spain, Gail of India, and Kogas of South Korea that account for almost 90% of the plant's expected output. The demand is there. The opposition is there, too – Cheniere spent years trying to get regulatory approval for Sabine Pass, against the protestations of groups such as the Sierra Club. The bottom line is that even though environmental concerns continue to hang over its natural gas industry, they are unlikely to prevent North America from eventually exporting LNG in earnest. There are simply too many jobs and too much money at stake. Energy is always a high-stakes game... but winning it has become even more crucial to developed and developing nations alike. Some have started calling the jostling a "new Cold War" – but no matter where the trends go, one thing is certain: outsized profit potential awaits the investor who intelligently taps in to those shifting trends today.